This is an Incredibly RARE find! 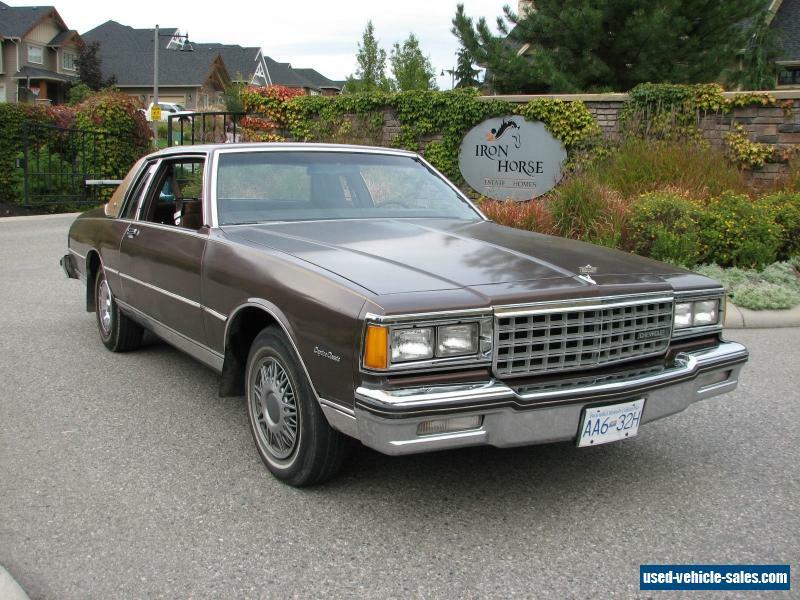 !1984 Chevy Caprice 2 door coupe with 48,000 original miles.This car was owned by senior lady who lived in small town in BC interior, it was only driven in town and apparently the longest trip she made was to Spokane Washington once which was about hour away. 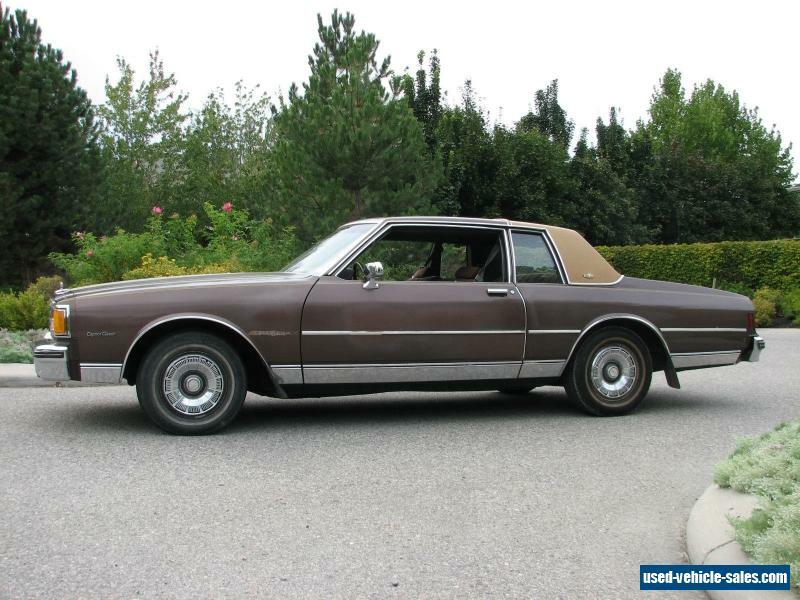 It was always parked under cover and she signed document attesting to the fact that the mileage on the odometer is originalThis Caprice is 100% all original including the interior of the car which is in fantastic near mint condition.The carpets and seats look great and do not have any signs of staining. The headliner is in excellent condition and the dash has no cracks. The door panels are in great shape.The car runs and drives as great and is real pleasure to drive. The car is so well built and think the ride quality is better than many new cars. Mechanically it is sound and would not hesitate in taking it on long trip. It has a 305 engine and automatic transmission. Tires and glass are good. The car is 100% solid and does not appear to have any rust on the body. The vinyl top appears to be original and is still in pretty good shape. Paint appears to be mainly original and is showing signs of wear and fading. 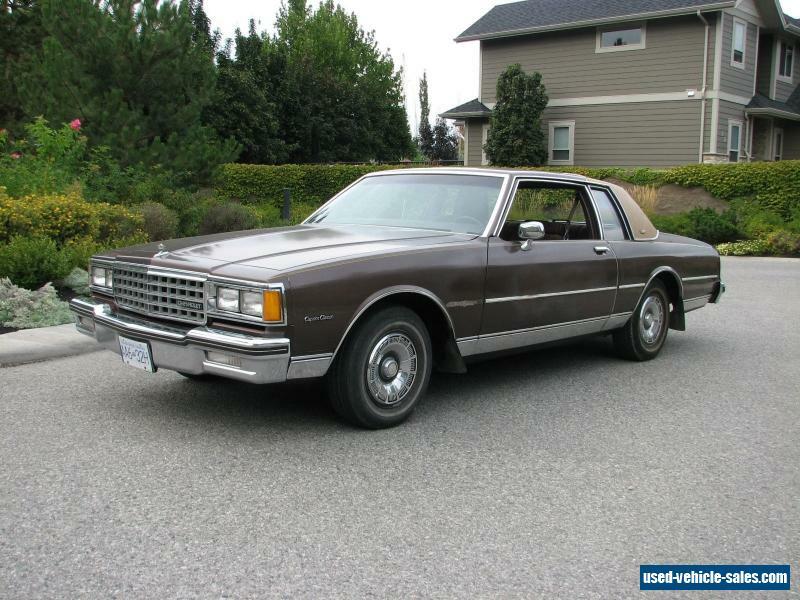 This Caprice would not only be fantastic investment but at the LOW RESERVE have placed on this vehicle there is not much else you can buy that will give you the enjoyment of this great old car which is 100% reliable and chances are you will never have blown head gasket or transmission problem or $1000+ repair bill to replace fuel pump like in most newer used cars that are built to be junked after 10 years! The only items that will require attention is A/C is not working, clock in dash not working.If you have any other questions for me regarding the condition of this car can be reached by calling 778-214-1810 (please only call if you are interested in owning this car not if you represent company that wants to help me sell it for fee).This car is located in Kelowna BC V1W 4L1, it is about hour drive to the US border. Export to US is relatively simple due to the age of the car. Car is about hour drive to Vancouver BC from where it can be shipped anywhere in the world.Canadian buyers please note that this auction is in US dollars, not Canadian dollars. Terms of auction: $500 PAYPAL deposit required from winning bidder within 24 hours from end of auction. Full payment due within 10 days from end of auction. Please ask all important questions before you bid and will be happy to answer, Thanks.